Quails’ Gate Estate Winery is one of Canada’s foremost family owned estate wineries. True pioneers, they have over 60 years of viticulture experience and have three generations of the Stewart family involved in the winery. All of the vineyard grapes are hand harvested in order to maintain grape integrity. They farm over 180 acres of vineyards and are widely-regarded as industry experts in the development of Canadian viticulture practices. In addition to the vineyards’ prime location and ideal soil composition, they are meticulously managed and crop yields are kept low to ensure premium quality. Visit the spectacular hospitality centre, with award winning views of the vineyard and Okanagan Lake, to sample award winning wines. At the Chardonnay du Monde 2015 Awards, one of the world’s most prestigious Chardonnay competitions, Quails Gate was awarded a Silver Medal for their 2013 Chardonnay and a Bronze Medal for their 2013 Stewart Family Reserve Chardonnay. They also took home 3 Gold, 3, Silver and 5 Bronze Medals at the 2015 WineAlign National Wine Awards or Canada. At the 2017 British Columbia Wine Awards Quails’ Gate won gold for their 2015 Chardonnay and 2015 Pinot Noir, silver for their 2015 Cabernet Sauvignon and bronze for their 2015 The Boswell, 2015 Botrytis Affected Optima and 2015 The Connemara. An informative tour begins at the Allison House, the original wine shop, situated in a historic log cabin built in 1873 for John and Susan Allison. 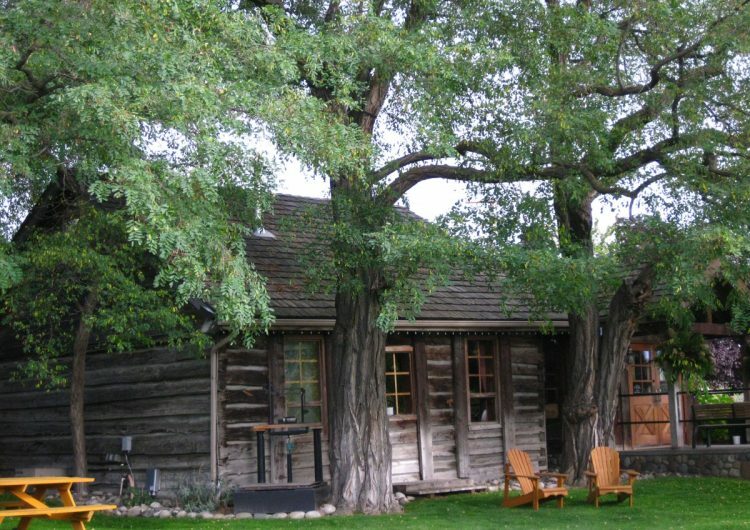 This home was the first permanent structure on the west side of Okanagan Lake. You will then enjoy a stroll through the vineyard, visit the state of the art production facility to learn about crushing and de-stemming, pressing and fermentation, and the aging and bottling processes. If you are looking for an amazing location to dine, visit Old Vines Restaurant, renowned as one of the top 100 restaurants in Canada. Old Vines Restaurant is an all-seasons, farm-to-table culinary destination. Chef Roger Sleiman and his team create spectacular dishes made from the freshest local ingredients, providing guests with a true taste of the Okanagan. We visit Quails’ Gate on both of our Westside Bench Tours and many of our private custom tours. Join us and sample spectacular wine, meet friendly knowledgeable staff and tour historical estate grounds. If you would love to visit Quails’ Gate please contact Distinctly Kelowna Tours at 250-979-1211 or email info@distinctlykelownatours.ca to reserve a wine tour.